There have long been dire warnings of what Article 13 means for startups. Now, those fears for innovation are becoming reality. We are now one week in since article 13 passed in Europe. While a lot of the focus has been on what it means for users and free speech, less attention has been made for founders and what it means for small startups. Of course, the impact on small business isn’t exactly something that hasn’t been talked about before. Clear back in early February, the small business community condemned the legislation. Numerous organizations representing small businesses warned that the copyright directive would put small and medium sized businesses at risk. As well all know now, European politicians simply chose to ignore those plea’s from experts and chose to pull the trigger to pass the legislation to please the big multinational corporations. Last week, we discussed just how daunting it is for any start up to navigate European law now that this law has passed. As we pointed out, startups and small businesses have to worry about not only putting in place crippling censorship technology, but also navigate the laws of 28 countries as well as try and stay compliant with Europe’s GDPR privacy laws. For Europe’s startups and founders, the rules change is going to raise a new question: why would I build a new company in Europe, where I risk large fines from poorly designed legislation, will struggle to raise capital, and must deal with red tape—when I could simply start in a friendlier environment such as the US, Canada, or even a place like New Zealand? As a founder of a bootstrapped company based in the Netherlands myself, it’s difficult to make a compelling argument for creating a startup here with these new laws in play. Dealing with the complexities of European VAT and filing tax in each member state was already a stretch, but this might be the final nail in the coffin of creating anything new here. Article 11 affects me, personally, on a grand scale. I operate a simple paid subscription newsletter, Charged, which rounds up technology news in the morning for readers, digesting it, and linking out to a number of articles worth reading. Under these changes I need to license any quotes or direct headlines from these articles before I can even send my newsletter—which would render it unsustainable for both the time involved to procure them and the cost. Ignoring the law could bring hefty fines because there are no exceptions—even if you’re just starting out. I may need to shutter my community as well, since any user could violate content on a Discourse server easily enough. For other founders, it’s likely to be the same: the risk is now too great, and any service that might have started here in the future will almost certainly shut its doors to European users and sources to avoid penalties. Instead of its intended purpose—helping news organizations thrive—it will do the opposite, killing their few remaining sources of traffic, leaving them scrambling for oxygen. Article 13 will drive any remaining ideas away, as well. Want to create the European Reddit? It’s now almost impossible—you must screen submissions for potential copyright infringement before you can. Working on the next big private note taking app? You’re in the same boat, because users might paste copyrighted videos or images on your service. An array of successful existing European startups from WeTransfer to Intercom will ultimately find themselves affected by these changes, with few answers as to how to deal with them. It’s now difficult to be competitive here unless you’re equipped with millions of dollars and an army of lawyers, leaving only the largest of companies to fight over the scraps. The article is a long one, but well worth reading. This is because these comments aren’t coming from someone speculating or some ivory tower professor doing armchair analysis. This is coming from someone who is on the ground trying to make his community a better place. So, the message remains: the European copyright directive will make Europe a hostile environment for startups and innovators. The next question is, what will happen now? It doesn’t take a genius to figure this all out. First, innovators will look to other countries to plant roots. The knock on effect is that investment money will likely follow. With startups making an escape from Europe, that, in turn, means fewer jobs for European’s. With fewer businesses starting up, tax revenue will drop both from an employer standpoint and an employee standpoint. All this, in turn, will also mean the overall economy takes a hit. 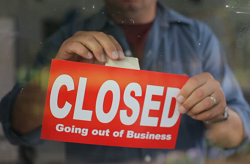 Spin-off jobs become unsustainable and other businesses will take a hit as well. The only positive to be found here is that other countries like Canada and New Zealand stand to benefit. As long as these other countries don’t effectively commit economic suicide with similar laws, they will ultimately be on the receiving end of the economic benefits of fostering startups. At any rate, there are really no upsides to this copyright directive that we can find. It will probably take a while for the economic impact to hit, but sooner or later, it will hit. One can only hope that the hostility towards innovation will come to an end quickly, but that doesn’t really appear likely at this stage.